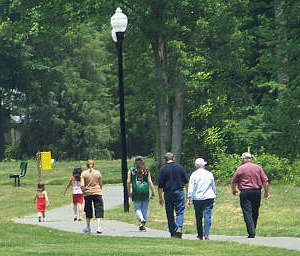 At Wadesboro City Park, there are two picnic shelters, a playground, restrooms and 0.8 mile walking trail. Wadesboro City Park is located at 1000 Gatewood Street, off Morven Road at the corner of Center Street and Gatewood Street (see map below). 2. No driving on grassed areas. 4. All pets must be on a leash and under control of owner/responsible party. (Pet activities can be arranged by contacting Town Hall). 5. No loud music/sound emitting devices allowed. 6. The Park will be closed to all activities for periodic maintenance. 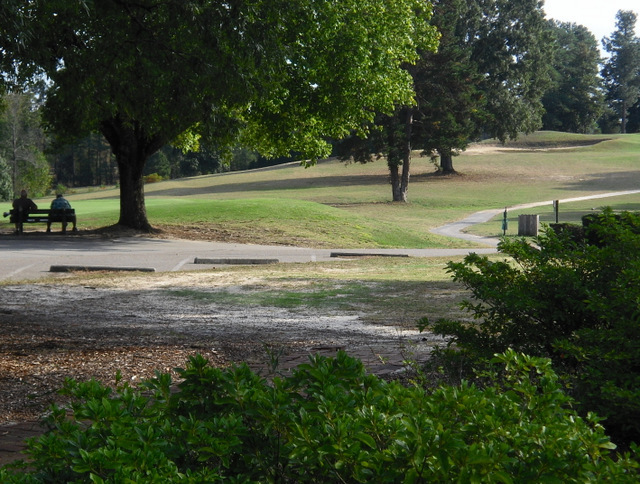 The land for the Wadesboro City Park was generously donated by the Charles Little and Henry Little families. Location: From downtown, go south on Morven Rd. and turn right on Gatewood St. The entrance to the park is at the corner of Center and Gatewood streets. Exact address: 1000 Gatewood Street, Wadesboro. Two picnic shelters are available for rent. Shelter #1 or Shelter #2 (with 4 picnic tables). There is a sink available at Shelter #1. Charcoal grills are available. To reserve a picnic shelter, you must come in to Town Hall and fill out the ap﻿plication form. You cannot reserve over the phone. A 4 hour rental is $25 plus a $25 deposit. The deposit will be returned if the area is properly cleaned. You must return to Town Hall with your receipt and ID to receive your deposit. 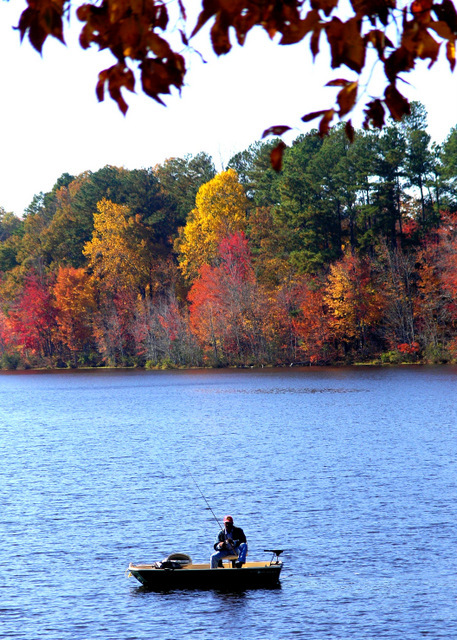 Wadesboro's City Pond is a 190 acre municipal lake with a picnic shelter, bank fishing and boat rentals. There's also a playground for children 2-5 years of age. The picnic shelter at City Pond is a screened-in facility that seats about 20 people. Location: This facility is located approx. 3 miles south of downtown Wadesboro off NC Hwy 742 South. Turn right on City Pond Road (Anson Memorial Park will be on your left) and proceed approx. 1/4 mile to the lake. Additional $2.00 for each extra person in boat. A screened picnic shelter with 4 picnic tables is available for rent. Charcoal grills are available. 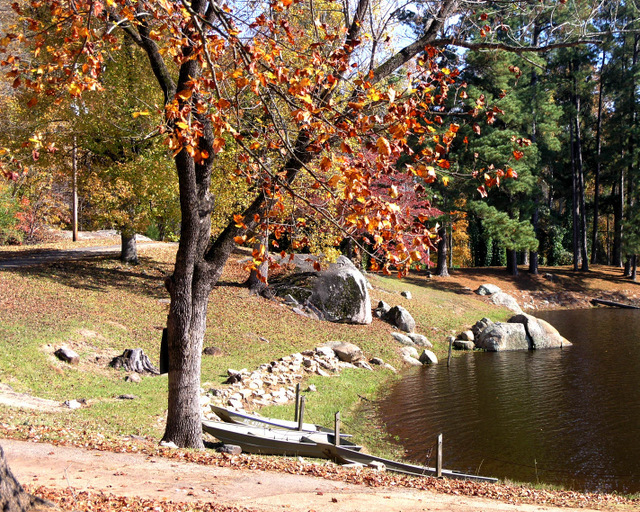 To reserve the picnic shelter, you must come in to Town Hall and fill out the application form. You cannot reserve over the phone. A 4 hour rental is $25 plus a $25 deposit. The deposit will be returned if the area is properly cleaned. You must return to Town Hall with your receipt and ID to receive your deposit. Boat rentals are $4 for one person. Each additional person in boat is $2.00. 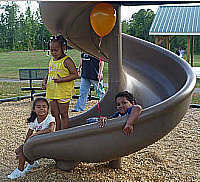 The playground at Municipal Lake was funded by the Town of Wadesboro and a grant from Anson County Partnership for Children (Smart Start). Finding City Pond: Approx. 3 miles south of downtown Wadesboro on Hwy 742 South, turn right (west) on City Pond Road (Anson Memorial Park will be on your left). Proceed approx. 1/4 mile to the lake. 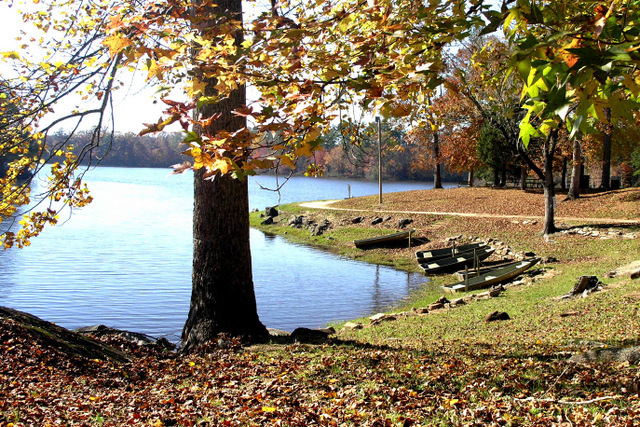 Little Park is a county-maintained recreational facility offering ballfields, soccer fields, tennis courts, playground, picnic shelters, swimming pool, walking trail and 2 acre pond. 845 Airport Road, Wadesboro, NC. More info at Anson County Parks and Recreation, 704-694-5868. 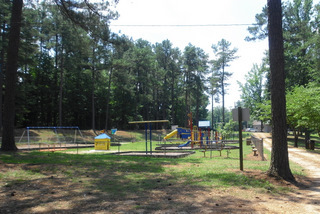 Check Anson County Parks and Recreation for more details. This ballfield located within town limits has a lighted softball field. Free parking. Use of this facility is managed by the Anson County Board of Education. Please call 704-694-4417 for information about the use of this facility on S. Rutherford Street, Wadesboro, NC. Pee Dee National Wildlife Refuge is a federal nature preserve with fishing, hiking, bird-watching and 0.5 mile wildlife/nature drive through the heart of the Refuge. 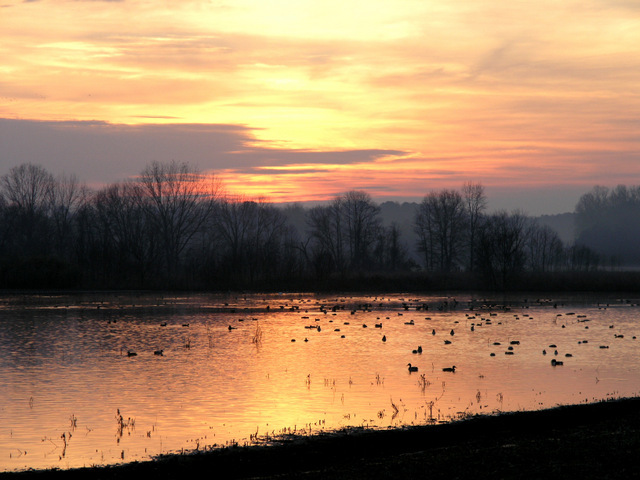 With almost 8,500 acres, the Pee Dee National Wildlife Refuge is about ten minutes north of town on Hwy 52 North. 704-694-4424 or www.fws.gov/peedee/.